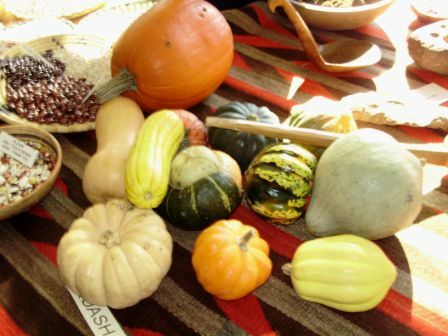 When the autumn leaves start to turn, and the crisp fall air is here, Thanksgiving is just around the corner, and it's time for Garvies Point Museum's NATIVE AMERICAN FEAST. 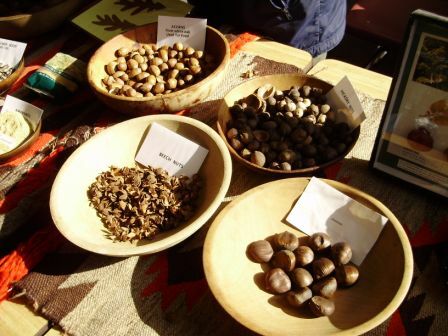 This celebration of northeastern Native American culture has been held the weekend before Thanksgiving for more than 25 years. Hands-on activities during the weekend will be on-going. These will include pottery-making using ancient methods, primitive fire-building and on-site open fire cooking with samples (including our famous popcorn soup). 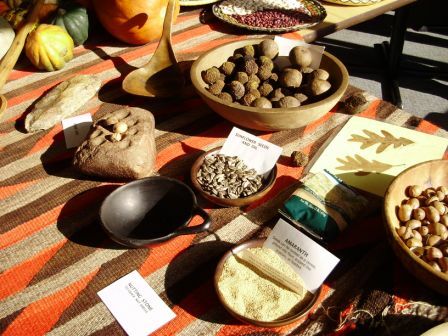 Authentic Native American food displays with sampling; medicinal plant displays; artifacts and tool technology including drilling in stone, face painting with natural pigments, and spear throwing using an atlatl. Films about Native American culture will be shown throughout. Activities are appropriate for all ages. Activities are held both indoors and outdoors. 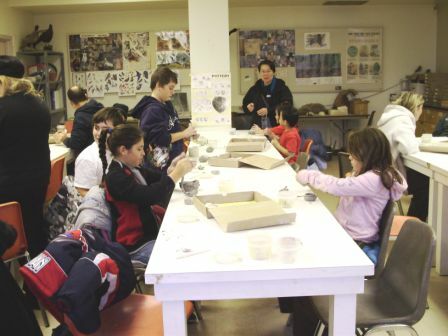 Participants can also take this opportunity to view the museum's exhibition hall, which explores Long Island Native American culture and archaeology, as well as New York State and Long Island geology. Fee: $8.00 for adults. $5 for children 5-12 and seniors 62+. Children under 5 years of age are free with parent. Although there is much to sample, we recommend you bring a bag lunch and spend the day!